The Gambling Authority estimates the unlicensed offering of gambling in Denmark to represent 5 per cent or less of the total Danish gambling market. The operators are less optimistic but still estimate that approximately 80-85 per cent of the Danish market is licensed and compliant. However, regarding games that are still part of Danske Spil A/S’s monopoly, the legality of the Gambling Act from an EU law perspective is unclear. The government has given no justification for maintaining a state monopoly on the offering of, for example, lotteries and scratch cards, and consequently the enforcement of this part of the legislation outside of Denmark is questionable at best. Another major difference is the tax rate. While the land-based industry is taxed depending on the gross gambling revenue (GGR) achieved (between 45 per cent and 75 per cent), the online gambling duty is set at 20 per cent of GGR regardless of the size of the GGR. The final part of the application material is the certification of the gambling system including game software, random number generator, report generators and the back-end system including anti-money laundering surveillance, financial transaction systems, know-your-customer procedures and storage of personal information. c income limited licence – 54,700 kroner. 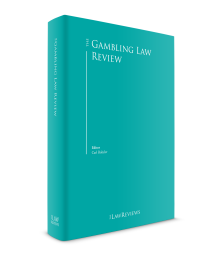 Both the betting and the online casino licences are limited to five years, and in addition to the application fee and the gambling duty a licensee must pay an annual licence fee, which is calculated on the basis of the realised GGR. With effect from 1 July 2016 the annual licence fees were changed. The reason behind the change was to reduce the annual fee for small and medium-sized operators and to increase the fee for the largest operators. In addition, more GGR intervals were added. The annual fee in 2018 varies from 54,700 kroner to 4,923,000 kroner. Since the first licences were issued on 1 January 2012, none of the existing licences have been renewed under the Gambling Act. The renewal fee for an application of renewal of an existing licence is 109,400 kroner for a single licence and 136,800 kroner for a double licence. The year 2017 saw the first court decision in a civil case, where a player had sued an operator for reimbursement of money lost with the operator. The claim was based on an argument that the operator should have known that the player had developed a gambling problem. The lawsuit was further fuelled by the fact that the operator in question had accepted a fine of 500,000 kroner for alleged violation of AML requirements, in particular with regard to source of funds investigations. The player had received a substantial amount of money in damages as compensation for a suffered work injury. There was regular contact between the player and the operator’s customer service. Sometimes there were complaints from the player that he was playing more than he wanted to, at other times the player confirmed that he was doing well and had not lost more than he could afford. At regular intervals during the process the operator provided the player with information about problem gambling, treatment for problem gambling and links to self-exclusion programmes, all of which were apparently ignored by the player. When the player told a customer service agent that he had a gambling problem, the account was shut down by the operator. The District Court of Herning in Denmark found that if there is an obligation for an operator to take the initiative to shut down a player’s player account, then this obligation did not materialise earlier than the point in time where the operator in this case did shut the account down. Consequently, the court found in favour of the operator and dismissed the claim for damages raised by the player. Also in 2017, the Danish parliament passed amendments to the Danish gambling law allowing operators with an online casino licence to offer bingo and for operators holding a betting licence to offer horse race betting and betting on dog and pigeon races. However, the new bingo regulation suffered from political manoeuvring and came out with a limitation in variations that can be offered and some technical requirements that may be costly for the providers to comply with. Amendments have been made already and are currently awaiting the conclusion of the notification process with the EU Commission. The year 2017 was the sixth consecutive year with considerable growth in GGR on the open gambling markets, thus underlining the perception that the new Danish gambling legislation is working well, and that business is growing and is generally positive for licensed operators in Denmark. However, the growth numbers are somewhat influenced by the increased amount of bonus money available as the competition on the Danish market increases. Bonus money cannot be deducted when calculating the GGR, and consequently the GGR numbers published in the DGA statistic overview are inflated. A considerable number of potential new operators are beginning to show interest in entering the Danish market, possibly because of the strong numbers on the Danish market and the fact that the Swedish market is about to be opened on a similar legislative regime, making the Scandinavian markets more attractive in general. The considerations regarding a possible sale of Danske Spil A/S to private operators seem to have been put on hold for the time being, but there are reasons to believe that they have not definitively been given up. There are, at this point in time, no major changes on the way on the Danish market. Bingo and horse race betting can be offered in Denmark, with effect from 1 January 2018, and it is unlikely that we will see any changes on the remote gambling regulations until the effect of this addition to the scope of the Danish licences has been seen. The most likely changes to come in the near future are changes in the land-based markets. A process is ongoing regarding the use of self-service betting terminals, and the regulations for land-based slot machines and land-based casinos date back to the time before remote gambling was an issue, and are in severe need of an overhaul if land-based gambling is to have a future in Denmark. With effect from 25 May 2018, the EU Regulation on General Data Protection enters into force, with considerable increase in fines for violation. This regulation is likely to have an impact on most operators’ compliance work since more reporting and documentation of internal processes regarding the collection and processing of general personal data is required.